OTTAWA – Swimming Canada has nominated a group of 26 athletes who will be focused on contributing to the Canadian medal count when they dive into the pool for the 2018 Commonwealth Games in Gold Coast, Australia, April 4-15, 2018. The national body for swimming in Canada will field a stellar lineup of 16 women and 10 men who bring a combination of veteran leadership with youthful energy and drive – with 10 athletes under the age of 20. 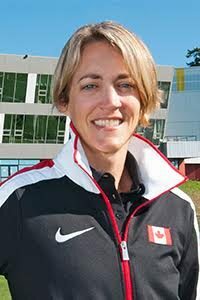 The team of Canadian swimmers replete with medal potential will be led by 11 athletes who competed at the 2016 Olympic Summer Games in Rio along including medallists Penny Oleksiak, Taylor Ruck, Hilary Caldwell and Kylie Masse, who set a new world record in the 100-metre backstroke final at the World Aquatics Championships in Budapest, Hungary this summer. The deep contingent of talented Canucks in the pool will contain five athletes who competed at the 2014 Commonwealth Games along with seven rookies on the senior swim team.